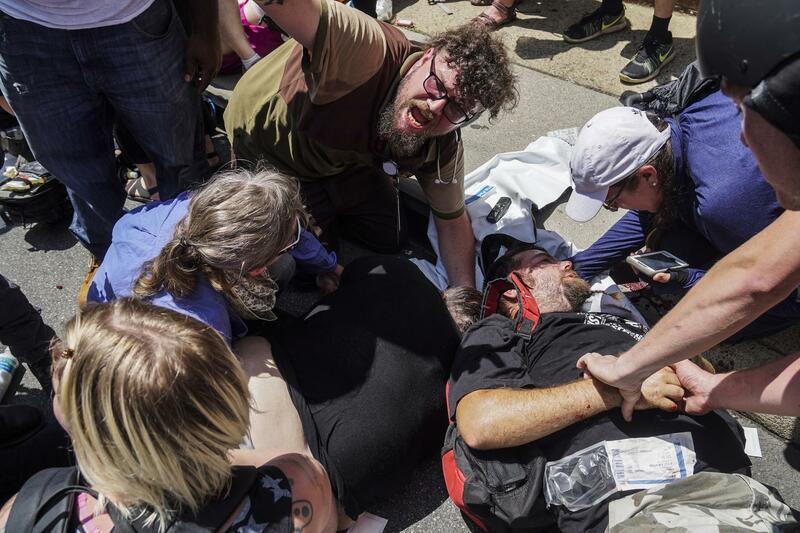 The aftermath of a collision involving white nationalist protestors in Charlottesville, Virginia, on Saturday. University President Morton Schapiro expressed disgust over those actions and the response by President Donald Trump. University President Morton Schapiro condemned the violence and hatred perpetuated by alt-right nationalist groups in the wake of the events in Charlottesville in an email sent to the Northwestern community Tuesday night. On Saturday, white nationalist groups marched on Emancipation Park in Charlottesville, Virginia, in protest of the removal of a statue of Confederate general Robert E. Lee. Over the course of the day, the march grew violent, and came to a head when a man with Neo-Nazi viewpoints drove a car into a mass of counter-protesters. Schapiro said the university will continue to foster a “safe and supportive community,” and that he understands the difficulty of grappling with issues regarding freedom of speech. Schapiro’s email comes on the heels of similar action taken by other Northwestern community members, including Associated Student Government President Nehaarika Mulukutla, who co-signed a document denouncing the racially motivated violence on Sunday alongside 51 other student body representatives. “This is our campus and our country,” Schapiro said.